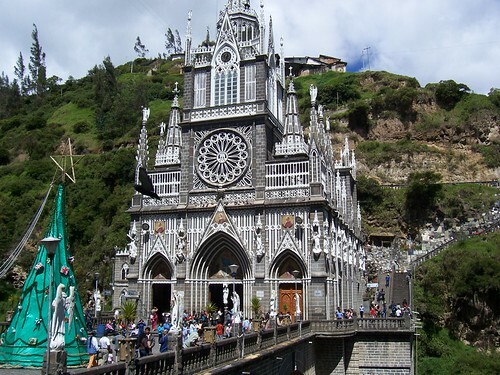 Las Lajas Cathedral located inside a deep gorge/canyon of the Guaitara River near Ipiales, Colombia near the border of Ecuador has fascinating look with a bridge on one side and a cathedral on the other side of the the gorge. 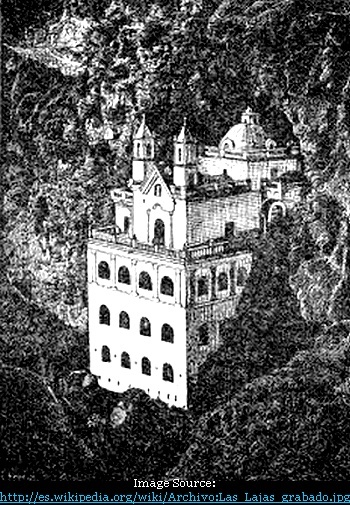 It was originally built in 1754 after an Indian woman and her deaf-mute daughter reportedly saw an apparition of the Virgin Mary in a cave in the canyon and miraculously the child started speaking. Since then it is a regular pilgrimage and tourism destination. The current building (the fourth since the eighteenth century), replaced a chapel dating from the nineteenth century. The height of the cathedral from its base to the tower is 100 metres and the bridge is 50 metres high and 17 metres wide and 20 metres long. The main building measures 27.50 metres in depth and 15 metres wide. In 1954 the Roman Catholic Church declared the sanctuary a minor basilica. 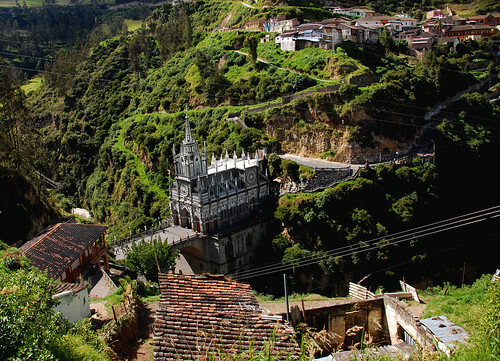 Recently it has been voted as one of the 7 wonders of Colombia. Nice article. The name of our country is Colombia though. Thank you for your comments. My apologies for mis-spelling the name of your country in the first paragraph. It was a typographical error. I had spelled it correctly in the last paragraph. Thank you once again and keep visiting the Travelogue.